Artgrain has finally submitted all its competition entries for the Space Foundation Art Contest, and I am writing this post to share a little more about the learning experience for both the students and myself as an educator. Art competitions, or any kind of competition for that matter, are tricky for the classroom. They build confidence for those that succeed and earn a title from it after, but may crush the spirits of children no visible results are reaped from it. Placing a child in a position where he is likely to fail would at best make him aware of his position, and at worst discourage him until he drops out of art completely. It is thus the teacher’s responsibility to ensure that he joins a competition is suitable for his level of skill. It is meant for ages 3- 18 years of age. It has a short history of 7 years. Judging criteria are based on creativity, originality, quality, execution, adherence to the theme, and overall impression. At a glance, the stakes are not very high. If I were to compare this to a sporting event as a coach, this competition would be classified as a “friendly match”. Since the prizes are not attractive to the students, what then entices them into participating? 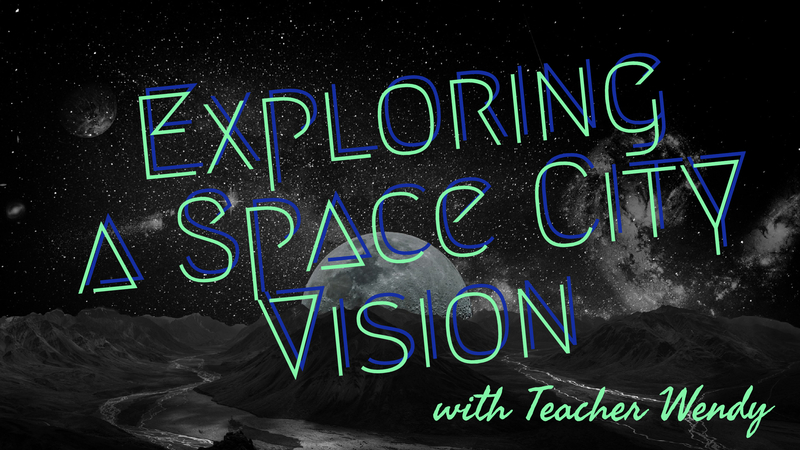 “My Space City Vision” is a topic that enables children to tap into their imagination and freely express their voices and designs without restriction. 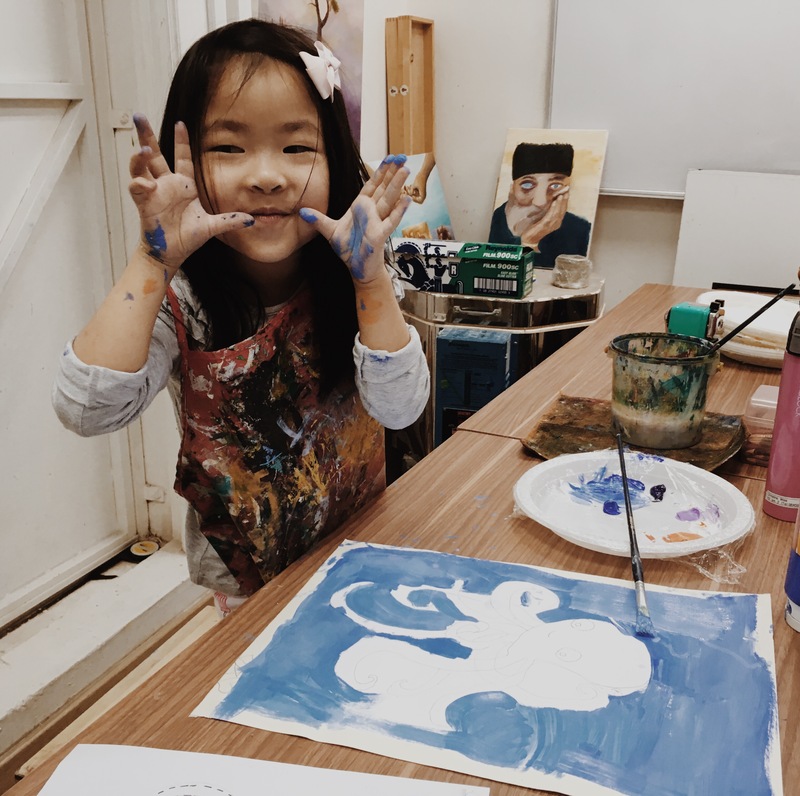 What goes on in the classroom can be quite mundane for the children week after week since our school has a high emphasis on the craft in art-making. 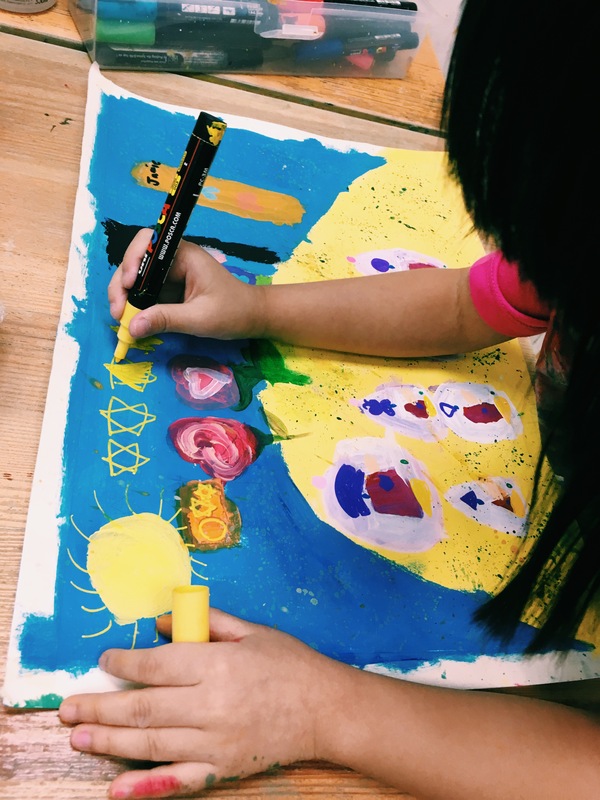 We drill the Principles and Elements of Art into the children painting after painting, until they are able to apply the concepts into their own artwork intuitively. Doing a fun artwork with a setting in the outer space can really a breath of fresh air for both the teachers and students. The first thing that happens in class is to introduce and discuss the theme, and share a variety of potential approaches to the topic. Mind-mapping comes in useful here. After the brainstorming session, I would ask them to research and gather the relevant references (from the internet, books or their personal photo libraries) to help them translate their initial ideas into visuals. Once they have filled at least a page of their art journals in sketches, I usually step in to further discuss how they can arrange their subject matter on paper to make their composition more dynamic. Ideally, that was what I wished happened in my classes. But reality is not usually so kind. Since most of my students whom were interested in participating ranged from 4 – 7 years of age — the group that pays little attention to art principles — I needed to adapt. The most challenging hurdle was to break down the theme into very simple terms for the pre-school students (enrolled in our Seedling and Headstart Programmes) whom are still struggling to spell out words with a pencil. What kind of vehicles or modes of transport would you like to see in outer-space? What kind of plants, animals and people live there? How would you live in this world you just created? 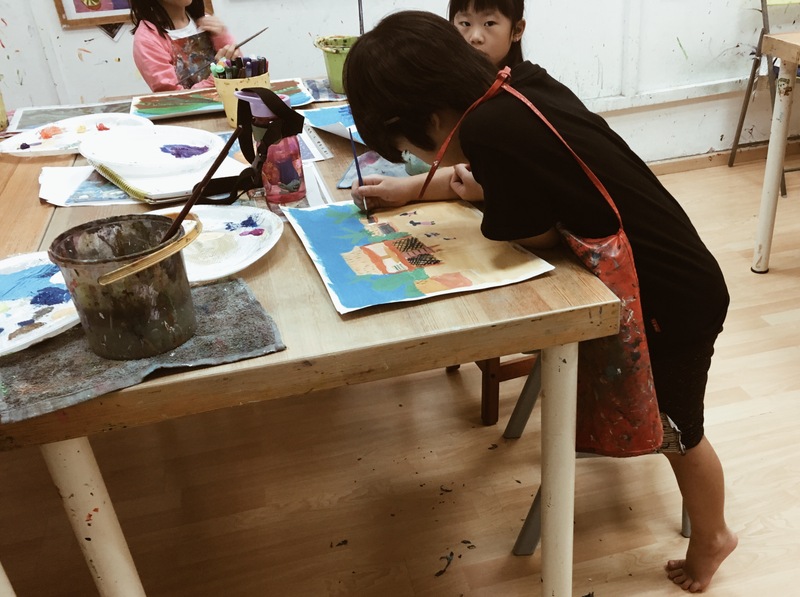 In the next half of this post, I will be sharing three unusual responses from the Seedling, Headstart and Foundational Art Programme respectively and discuss the processes they went through. Clarize (4 years old) spent a good half an hour designing aliens excreting soap bubbles into their immediate environment on rough paper, and named them “bubble monsters”. Unfortunately she refused to draw them again on the larger piece of paper, because she had already put in so much effort with pencil and saw no reason to bore herself by repeating the same drawing on a larger scale. Fair point. My mistake was not giving her the thicker cartridge paper to draw on right from the start, and trusting her intuitive way of working. By letting her just going with the flow and not look back. Also by letting Mr. Bubble Monster take charge of her landscape. Why kill off her enthusiasm for art just because I couldn’t guide her in the composition of the elements? At her age, cultivating the fun in art should be the emphasis. Eventually, the her city-space vision evolved into something completely different. It’s a pity we can’t see her bubble monster in here, but her final artwork is highly charged with a personal narrative. As she was colouring her creatures, she explained to me that the two little girls in the picture were herself and her sister. On the far right, the creature with antennae and grass-like skin happened to be caught in flames, while the mask in the sky behaved as a guardian that watches over the city. I figured Clarize may take a liking to Star Wars when she grows up. When I started Elizabeth (6 years old) on her competition work, she had a very clear idea of what she wanted from the beginning. She spoke of rockets being a key transport system in the galaxy like it was the most natural thing to happen in the future. She also drew several rockets blasting in all directions on her art journal. What emerged was a visualisation of an space-city that encouraged a friendly co-existence between mankind and aliens. The rockets she drew became a bridge between two planets. What Elizabeth has done well in this piece was to use the opposing direction of the rockets depicted to suggest a cyclical motion in her painting. As she had many details in her drawing, the colour application was tricky for her. She overcame this by filling up the small areas with colour pencils, and using a watercolour wash for the background. A black ball-point pen and a thick nib marker was used to accentuate her line work. 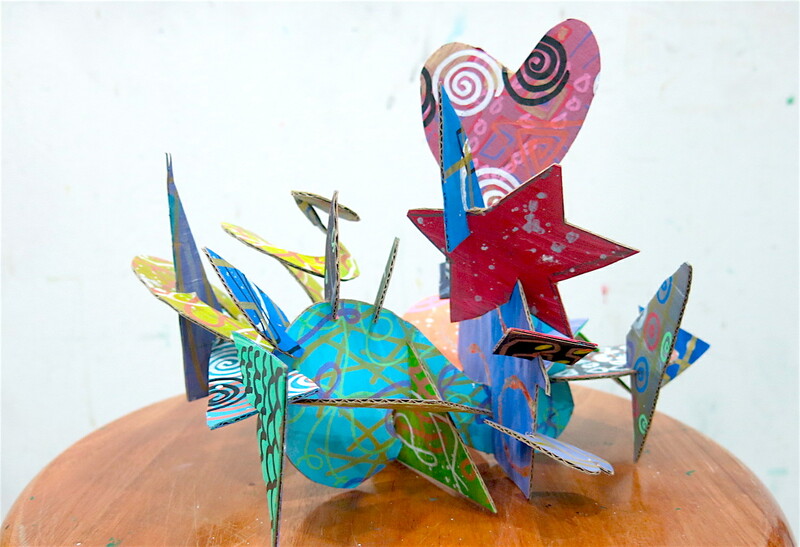 Hui Ning (7 years old) drew inspiration from Pixar’s animated film, Toy Story. I was quite humoured by how she combined the structure of the space ship with the Little Green Men’s legs. Unlike Clarize and Elizabeth, she was not too sure about living in her space-city that needed a force-field to ward off alien invasions; which only housed droids, shopping malls and a mountain of swiss cheese at most. Nevertheless, she definitely responded to my prompt about the transportation she envisioned with a variety of vehicles designed. She endearingly named a selected few vehicles “Fish Bumper”, “Fire” and “Kiwi Droid Plane”. Nurturing the fun in art making while teaching children to resolve their works using the principles of art and design is hard work. 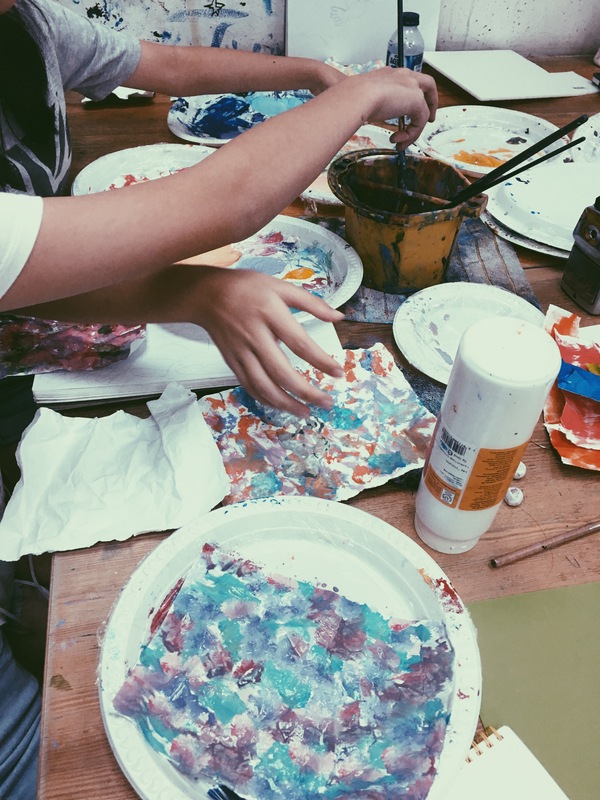 You hope to let your students take the reins as much as possible, and you also hope that they will go home proud of their achievements in the art room by finishing a painting to the best of their abilities. In any case, my students enjoyed the entire process and were really happy with their final work, so I would deem this art competition experience a success whether or not they win a prize. As long as a child strongly relates to his own work and believes in what he does, it is more important than making his art look pretty. A budding artist’s taste in asethetics will mature wih age and experience. Never forget that all drawing and painting techniques can be easily learnt from a teacher and mastered with practice, while the search for a strong voice in the art you make emerges from within .